In my role as leader of the Textiles Research Group at Loughborough University, I contributed to the establishment of the Textile Research in Process (TRIP) project: a symposium at Loughborough University Design School and an exhibition at the Harley Gallery, Nottinghamshire, UK, 20 August – 16 October 2011 and Loughborough University Design School 16 - 17 November 2011. 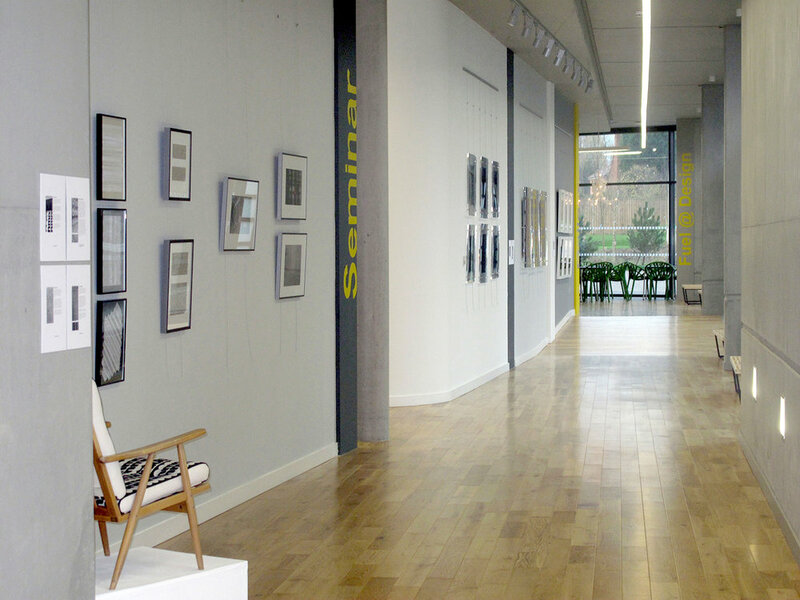 A second exhibition TRIP 2 was held at the Design and Architecture Gallery Tallinn, Estonia in August 2015 in collaboration with the Estonian Academy of the Arts. The TRIP symposium explored the role and relevance of traditional 'hand-skills' in contemporary textiles and the value and state of craft within this context. Using the common denominator of the ‘design process’, the TRIP exhibition aimed to revealed the varied approaches to creativity and research in textiles. Supported by the use of a digital show reel, each participating member of the Textiles Research Group (TRG) demonstrated individual approaches to design through revealing the research concepts and the process journeys that lead to textile outcomes. The exhibition provides a snapshot of practice-based work that addresses ongoing research narratives within the TRG. Common to all of the work was an interest in the connections between craft, design and new technologies within textiles. Exhibitors included Pennie Alfrey, Val Beattie, Jan Bowman, Tina Frank, Daniel Heath, Faith Kane, Janette Matthews, Lauren Moriarty, Nithikul Nimkulrat, Rachel Philpott, Jan Shenton, Kerry Walton, Kerri Wallace, Laura Morgan, Chetna Prajapati, Paula Gamble-Scharwz, Jenny Pinski and Yemi Awosile. 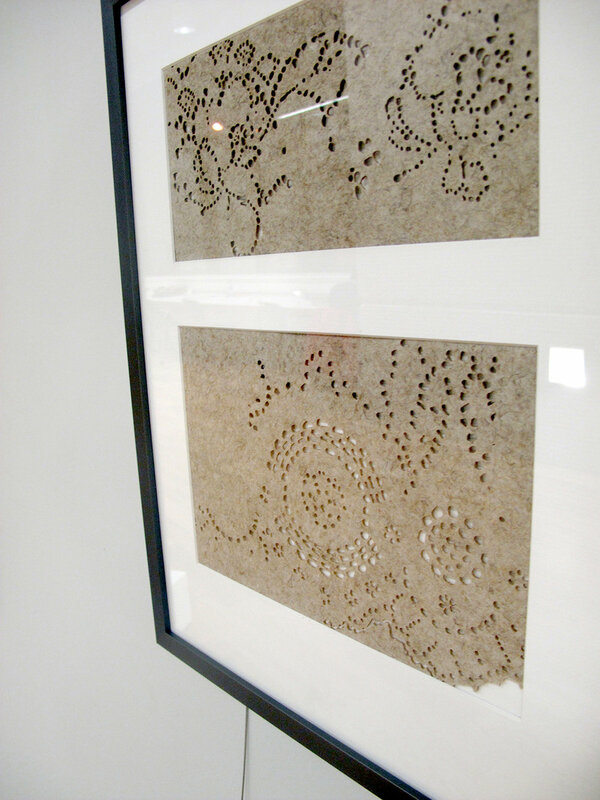 My work for TRIP, Notlace 1 and 2 (2011), and TRIP 2, Laser cut flax and poly-lactic acid nonwoven and compression moulded samples (2015), was informed by the results of the FLAX/PLA Composites project and explored ways of presenting the results of textile design research by referring to traditional textile documentation methods such as samplers and guard books.